Your “Big Break” is not coming (and why that’s good news). Is your industry about to be transformed by the Internet? Instagram marketing, some fresh ideas for email, and why you’re not as busy as you think you are. 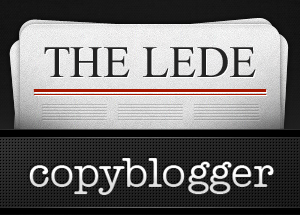 Get into it all below, and make sure you follow @copyblogger on Twitter to grab these links — and a lot more — every week. If you’ve downloaded the new Twitter app to your phone, you may have seen the new Twitter online by now. I’d have to get @bgardner or @rafaltomal over here to make a serious run at how the separate elements of the redesign really shake out, but I like it. All right, I’m a bit of an email nerd. If you are too, these won’t be completely foreign to you, but they’re a good reminder of what works when it comes to email list conversion. With his trademark generosity, Chris Guillebeau makes an attempt at answering this question (and more) in another stunning manifesto. No opt-in required. You might take a glance at this article and say “Yeah, duh?” and that’s fine. The question remains: how will these changes affect what you’re working on? If you’re an Instagram freak, you’ll love this. If, like me, you’re not on Instagram, John makes a good, indirect case for thinking creatively about your marketing. A solid reminder that, though busy makes you feel good, it does not necessarily mean you’re doing good work. Less is more? Nobody’s coming to save you. No “single moment” is likely to change your career. Particularly if you’re chasing that single moment instead of consistently working to make great stuff. I love this article. Is it just me or does instagram make everything look rather sad? It adds that “old Polaroid” effect to images and darkens/saturates them a lot. I sort of like it, depending on the image. Makes me feel like I’m in the great depression. Ha ha. Thanks for share the great marketing link list, Robert. I love it, but I consider what things I could learn from these links, will follow them all. I really liked the Myth of the Big Break. It’s empowering to feel like paying your dues trumps the “back door” approach to success. I’ve always thought the only thing I can really control about my future us how hard (or smart) I work. Other things–luck, people getting breaks, whatever–are beyond my influence, and I can’t worry about them. Got to keep moving forward. Nice list of links. The link to Email Marketing is broken. Please fix it. Great set of links this week. Thanks. The Copyblogger podcast on the recent re-design was one of my favorite yet. I’d just like to add that you can put me down as a supporter for getting Rafal on the podcast! Sharing “You’re Not as Busy as You Think” with a few friends. Thanks for such a great compilation. Seconding the excellence of the “Myth of the Big Break.” It definitely puts truth to the adage that actions speak louder than words! What a great collection of inspiring pieces. I will definitely be referring others to these!